What are the five most common misconceptions about New Jersey and New York private adoption? THERE ARE NO NEWBORN BABIES AVAILABLE FOR ADOPTION. There are many newborn infants available for adoption in the United States. In a private adoption, the prospective adoptive parents advertise and network to connect with an expectant mother with the legal guidance of an attorney. This is often the quickest and most economical way to adopt. In an agency adoption, adoptive parents retain a licensed adoption agency to locate an expectant mother for them. In both private and agency adoption, the expectant mother typically interviews several families before choosing an adoptive home for her child. I WON’T BE ABLE TO ADOPT IF I AM NOT PERFECT. Over 40? Single? Have a medical condition? Do not despair. You do not have to be perfect, but only objectively fit to parent, in order to qualify to adopt. Your passport to adoption is a homestudy, which is an objective evaluation of your fitness as a parent, including criminal and child abuse clearances, proof of income, medical clearance and an interview with you in your home. In New York, any licensed social worker can perform a homestudy, while in New Jersey, the homestudy must be performed by a licensed New Jersey adoption agency. An additional New York requirement is a petition to the Family or Surrogate’s Court for an Order certifying you as an adoptive parent. A BIRTH PARENT CAN RECLAIM A CHILD AT ANY TIME. Aside from the baby’s health, the adoptive parents’ most pressing concern is terminating the birth parents’ rights. 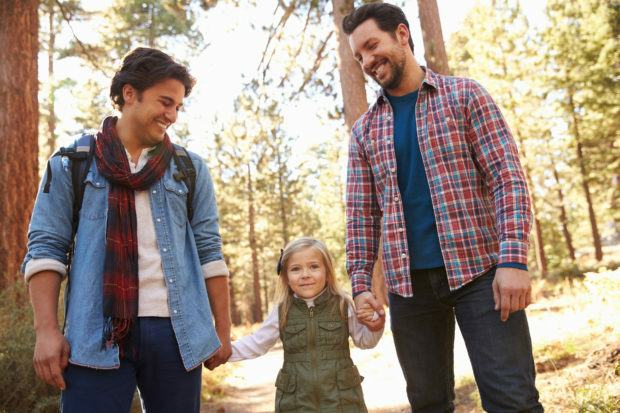 New Jersey and New York laws for termination of a birth parent’s rights are among the quickest and most favorable in the country for adoptive parents. Once the birth parents’ rights are ended shortly after the birth, the birth parents cannot reclaim the child. OPEN ADOPTION MEANS INTRUSION INTO MY CHILD’S LIFE. Almost all adoptions of infants born in the United States today are open, but even in the most open adoptions, the adoptive parents have full authority and autonomy. In the most common kind of open adoptions – semi-open adoptions – birth parents meet the adoptive parents on a first name basis before placing the child for adoption and receive updates and photos of the child at a set time each year, typically on birthdays, through texting or email. The knowledge that they will have ongoing communication reassures birth mothers that their child will thrive in an adoption and can be a wonderful way for adoptive parents and children to have tough questions answered. In the totally open adoptions, the birth parents and adoptive parents exchange identifying information and meet in person, not only before the adoption, but over the years. Whatever the level of openness, the best interests of the adoptive child govern all contact, and unwanted intrusion is prohibited. ADOPTIVE KIDS DON’T FEEL ACCEPTED. With all the avenues for family building today—IVF, surrogacy, donor egg, sperm, and embryos, blended families, and single and collaborative parenting—presumptions about how a child enters a family have been overturned. These changes in societal attitudes about the meaning of family help adoptees. The secrecy which surrounded adoption fifty years ago is over, and adoptive parents are open with their children about adoption from early childhood. Those who grow up in loving homes with adoptive parents who discuss adoption honestly flourish and feel accepted. Robin A. Fleischner, Esq. has dedicated her legal career to forming families through adoption, surrogacy, and assisted reproduction. She became an adoption attorney in 1986 as an outgrowth of adopting her two sons and is licensed to practice law in New York, New Jersey, and Pennsylvania. She was instrumental in helping amend New Jersey’s adoption laws in 1994 to reflect modern practices while protecting the rights of all parties. Robin helped draft gestational carrier legislation which was passed by the New Jersey Legislature in May 2015. Robin has handled over 1,500 adoptions and is nationally known for her expertise in adoption matters. Robin is a 2015 recipient of an Angels in Adoption award from the Congressional Coalition on Adoption Institute, a Fellow of the American Academy of Adoption Attorneys and the American Academy of Assisted Reproductive Technology Attorneys, Co-Chair of the New Jersey Academy of Adoption Attorneys, and a member of the LGBT Bar Association Family Law Institute, and the New York Academy of Family Formation Attorneys.